In recent years the Socotra Islands turned into a paradise place for natural scientists, anthropologists, archeologists, environmental specialists and lovers of non-standard travels. All of them are attracted by it's unique flora and fauna, exceptionally great variety of fish and other creatures, as well as ancient traditions of the islanders living in harmony with nature, so rarely found in our modernized world. Our mission is to show you the island in such a way that you will remember it as one of the most unusual trips in your life. We offer you our knowledge of the island, the services of high-skilled and responsible Socotrian guides with knowledge of European languages, reliable and comfort transport, interesting non-standard routes, specially prepared meals and a great deal of new and unexpected impressions. The exceptional diversity of Yemen provides us with an abundance of possibilities that we are able to offer to our visitors. Ranges of high mountains with breathtaking canyons, hundreds of kilometers of coastlines along the Red Sea and Indian Ocean, islands, steppe, stony and sand deserts… round trips, trekking, and diving, all with many variations. It does not matter whether you ramble around the Yemen enjoy the countryside on your way to visit the cultural places of interest, or just let yourself become fascinated by the incomparable underwater world, you will most certainly return home with the memories of an unforgettable experience. We offer a full range of tourist services available in Yemen mainland and Socotra island. 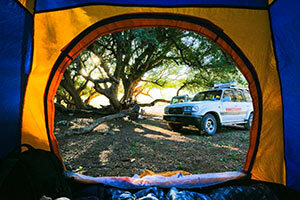 First of all, we discuss the program of your stay on Socotra in accordance with the schedule of flights to Socotra. After that you provide us with the first page copy of your passport and we book flight tickets for you. After receiving your payment for the tickets and Visa we buy tickets, book hotels and etc., as well as complete your visa application. The tour shall be paid in advance, not later than 2 weeks before its start day. From now you can book your trip to Socotra and contact our managers who are responsible for your stay in Sanaa and Socotra through our booking system. To do that, just fill a fast booking form on the main page. Afterwards, you will be able to enter and edit your data, as well as to do your correspondence with our managers. Each of them will know the whole history of your correspondence regarding your booking. We plan to modernize the system to allow you to construct your tour to Yemen and Socotra on your own. Now there are two ways to get to Socotra. The first - to fly through Sanaa - the capital of Yemen. While many are still afraid of mainland Yemen, Sanaa actually now - quite a safe city. In the case of flights to Socotra through Sanaa, we make your visa in advance, which is affixed to your passport on arrival at the airport.. You are greeted by our representative who will arrange your stay in the capital of Yemen. We advise to take place in Sana'a one full day and pay attention to shopping. For example, in Sanaa, you can buy great coffee, which you do not buy anywhere else. The second option - to fly to Socotra through the Arab Emirates. FELIX Аirways has scheduled flights Sharjah-Socotra-Sharjah. If you are traveling through Sharjah, you can get a visa yourself in the emirates from the Yemeni Consulate in Dubai. It takes 15 minutes. In this case you need an invitation letter from us in addition to a letter from the immigration office in Socotra to be addressed to the Yemeni Consulate in Duabi. *Schedule can be changed depending on the season. Due to an inflow of tourists in a high season we would recommend our clients to plan their trips and make booking in advance. We provide you with a copy of the document allowing you to obtain a visa upon your arrival at the airport. A visa is issued for one month. So, you will have a month to enter Yemen after obtaining your visa. Please, note that your passport should not have any official stamps of the State of Israel. Normally, we recommend our tourists to spend one day in Sanaa to see the Old Town and other interesting places..
We can also organize a sightseeing tour around Yemen with a professional guide. The program of your stay in Yemen may vary from visiting the mountainous part of the country to its seashore, as well as you may take a well-developed travel all around Yemen. The Socotrans greet each other by touching their noses. All rights to the photos and texts presented on this site belong to their rightful owners. It prohibited any commercial use of materials from this site without written permission.